The sixth hull in Horizon’s FD85 has been delivered to her Australian owner. The yacht has been named Julind and the Car D.Rover has designed it. Julind features a number of customised options as specified by the owner. 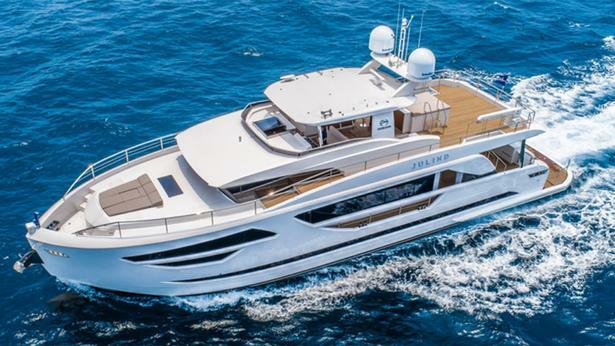 It has been fitted with a helipad to meet the owner's request for the yacht to accommodate guests travelling to and from the yacht. Julind was built in compliance with Australian AS/ NZ power standards and is powered by a pair of MAN 1,200hp engines for a top speed of 16.6 knots at half load. The yacht has embarked on her maiden voyage from Kaohsiung in Taiwan to Australia.